Frankly, I don’t know how anyone in recovery can completely avoid old playgrounds and playmates unless one is a total recluse. There is no corner of our culture that is totally isolated from the temptation of mind-altering substances. Media showers us with pervasive glorified allusions and images of mind-altering substances. The advertising and marketing industry would have us believe that alcohol is a necessary ingredient in the formula for fun. Grocery stores, restaurants, ballparks, concerts, and family gatherings all too often include ample exposure to alcoholic beverages. Alcohol is, quite literally, everywhere we go. Twelve-step meetings are valuable tools in recovery, but they rarely occupy more than an hour or two of our day. What to do with the remainder of the day? Where do we go if we choose to step off the path of temptation? Assuming we work and go to meetings daily (ninety meetings in ninety days is the typical prescription for folks new to 12-step programs), there are still 22.5 hours of exposure and vulnerability left in the day. So, where do we find new playgrounds and new playmates? For many, 12-step meetings create opportunities for new friendships. And hopefully there are abundant coffee houses nearby for those after-meeting conversations. (A sad aside: Starbucks recently announced that it will be introducing alcoholic beverages in some of their stores—so much for the recovery community’s universally reliable safe haven!). The 12-step “two-step” did work for me for a while. Unfortunately, over the years, I lost many friends and a husband to relapse, spent hours upon hours listening to people focused on their addiction, and often left meetings more triggered than serene. I realized that meetings really weren’t playgrounds in the true sense of the word. They were places where I could learn new skills to cope with my addictions and to know I was not alone. I don’t question the value of the friendships that I formed in those rooms. I learned some of the most significant lessons of my life in 12-step meetings. But rarely were my recovering friends my playmates. I needed to play, but I didn’t remember how to do it sober. I needed companionship in joy, but I found it hard to connect with others without social lubricants. Outside of meetings, I didn’t know anyone who didn’t drink or use drugs. That said, the few friends I had who used alcohol responsibly and in moderation have remained my dearest friends and playmates to this day. They demonstrated true friendship in their sensitivity to my very fragile early recovery. This was a true blessing, and one that I never take for granted. Most people in early recovery just don’t have this kind of friendship in their lives. So many people come to sobriety having burned all the bridges of healthy friendships – active addiction is great for eroding trust and ruining relationships. What shreds of dignity and self-respect that remain are barely enough to attract relationships and friendships with healthy people. While I am grateful for my healthy and enduring relationships, I am haunted by the loneliness and despair I saw in so many of those 12-step meetings. It reminds me of the loneliness I experienced in my teens before I ever started using: I had no social life until I decided to drink and use drugs. My son is now a teenager. His genetic predisposition to addiction is irrefutable. My son’s only sure defense is to never use in the first place. All of our children’s defenses are greatly improved if they don’t use mind-altering substances until their late 20s, when frontal lobe development is complete. But what’s the likelihood of abstinence when they encounter thousands of media, peer and even family messages each day that reinforce the idea that they’re missing out on all the fun if they don’t consume alcohol or get high? Who will demonstrate to my son that it is possible to have fun without social lubricants? The person and/or message demonstrating that idea must be extremely influential and powerful to make that point. As a parent of a teenager, I recognize that my influence is now limited. While I attempt to teach him all that I know about addiction and the devastation that it causes, I’m swimming upstream in a river of alcohol advertising. Youth exposure to alcohol advertising on TV increased 71 percent over the past decade (a rate higher than adults!). The documentary Anonymous People shines a light on the need for stronger voices for sobriety, but the message needs to come from beyond the recovery community as well if our kids are going to hear it! 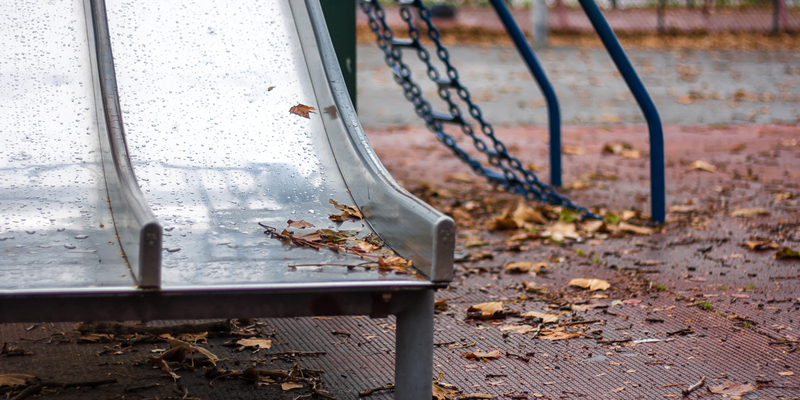 We need to create new and safer playgrounds for children of all ages where we can have real and memorable fun without mind-altering and potentially addictive substances. It can be as simple as having a family gathering without alcohol or as complicated as creating a substance-free community concert. Unfortunately, we can’t even take our kids to a minor league baseball game without being surrounded by adults drinking beer in the stands. Our professional athletic teams, our venues, our concerts are all sponsored by the alcoholic beverage industry. When one considers the fact that the Centers for Disease Control estimates that excessive alcohol consumption bears a cost of $223.5 billion a year (approximately $1.90 per drink), you’d think it’d be a no-brainer that we need more alcohol-free events. I’m calling for a conspiracy to subvert the message that fun requires social lubricants. Let’s conspire to create new opportunities for unadulterated play! Let’s take back our right to Authentic Fun! Thank you for this post. As a parent, I get discouraged about how much drug and alcohol use is promoted, laughed about, and taken for granted. I’m surprised any of us made it through our teens! It is time for a fun conspiracy. Love it! This is heart-felt and sobering truth, Ginny. Thank you for shining a light on authentic fun and renewed play.